It was the late 70's when I was introduced to TA. Ever since then I have used it. Internally to sort myself out - still ongoing. Externally in discussions, couching and problem solving with others. Also as a module in the training/facilitation I do regularly. 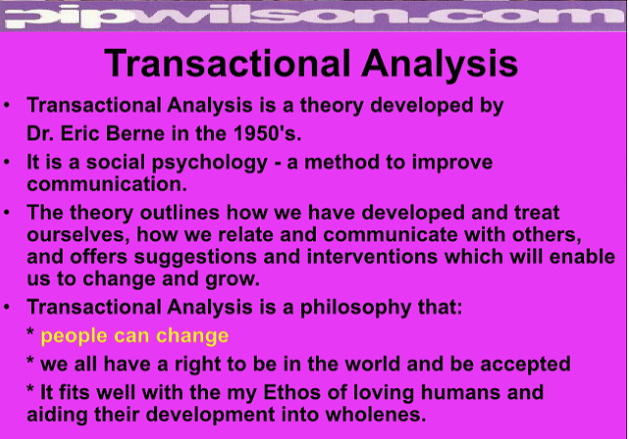 TA is and has been for all these years, great in terms of connecting feelings with the observation of the behaviour in others and myself. 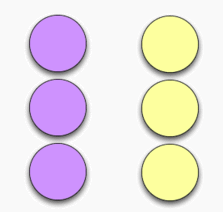 It is a tool which sticks in my brain due to those three circles. Images work in my brain better than words words words. They are not just good enough in a stand alone sense. 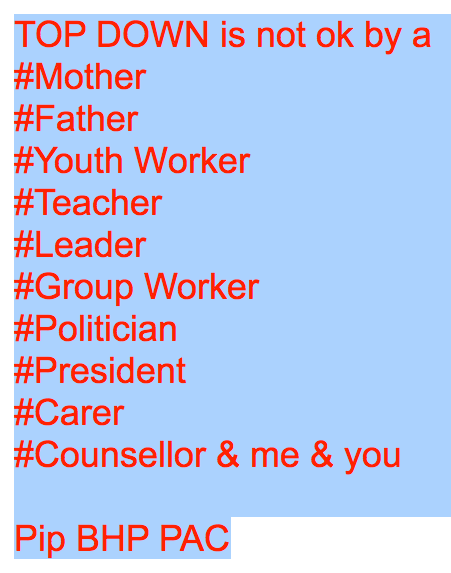 This is a slide from my module when I facilitate. With basic facts about TA are methods to enable people to get the concept but then practice. I use movie clips to engage people in observing PAC behaviour. I have a great clip from East Enders, TV Soap, which is rammed with PAC transactions. Blob Tree Tools are great for spotting PAC non- verbal communication. I use Blob Tree Tools to get people reading the human behaviour and all non-verbal transactions as being able to read PAC is foundational. BUT the first skill is 'feeling the feelings' because - it is then we move from just getting on with life to being alert to the transactions going on around us. FEELINGS, Behaviour and Thoughts are all triggers to the understanding of TA. Then there is how we transact. Our behaviour, tone of voice, non-verbal communication can be vital in being in a helping relationship with others. is when it is about to kick off. I am talking about aggression and violence. Many of the people I have worked with over the years face daily CONFLICT SITUATIONS when their own transactions can make a situation worse OR calm it down.